Residents of the village of Newtok say a state agency blocked its application for federal disaster funding, directing millions of dollars to other Alaska communities. Newtok had planned to use the money to buy out more than a dozen homes at risk of destruction in the rapidly eroding village. Now, that funding will likely go to communities in the Mat-Su Valley. Village leaders say state and federal agencies have made it almost impossible to access funding. To get a sense of what Newtok is facing, tribal administrator Andrew John pointed to a photo from a storm earlier this month. He said in just that storm, the village lost more than 20 feet of land. The local river is now within 40 feet of the nearest structures. But the village council said the relevant state agency has abdicated its responsibility to prepare for what’s coming. “Basically the Division of Homeland Security has a ‘no-action’ option with regards to the destruction of Newtok,” Mike Walleri, Newtok’s lawyer, said. Despite years of working with the village, Walleri said the state has no plan to relocate people if their homes are destroyed this year or next. 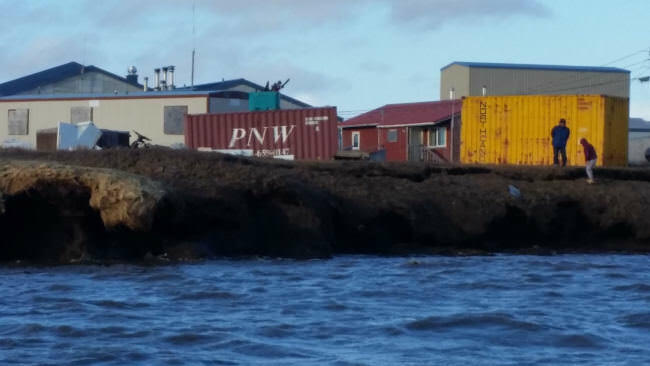 Newtok has been trying to move for more than a decade, as a combination of thawing permafrost and coastal erosion has brought the water closer and closer. The village has a new site picked out upriver. The big problem is money. In 2015, the state approved a plan to use about $3 million of state and federal disaster funding to relocate a dozen of the most threatened houses. But then, the village lost its barge landing to erosion. Moving the homes became impossible. So, the Newtok Village Council asked to use the money to buy out the existing homes, and build new houses at the new site. This summer, the state agency in charge of administering the grant, the Division of Homeland Security and Emergency Management, ruled that Newtok’s application was incomplete. The Division refused to submit the plan to FEMA, the Federal Emergency Management Agency. So the money Newtok was counting on will likely go to Butte and Sutton in the Mat-Su Borough, instead. Walleri said residents are dumbfounded. Mike O’Hare runs the Division of Homeland Security. He said Newtok’s application was missing key elements, and the Division ran out of time to fix the problems. O’Hare said he understands the village’s frustration. “We’re all frustrated, we all want them to succeed. But we have bureaucratic requirements that we have to fulfill. Otherwise we’re being irresponsible with the people’s money,” O’Hare said. O’Hare said the state faced an August deadline before it would have to return the money to FEMA, so it opted to redirect the funding to communities with complete applications. The funding comes from FEMA’s Hazard Mitigation Grant Program, which aims to reduce future risk after a major disaster declaration. But the engineering firm DOWL, which is working with Newtok to manage the relocation effort, said the application was complete – and the state dragged its feet, which ran out the clock. DOWL coordinated final revisions to the application, which was originally prepared by the firm CRW Engineering. O’Hare said the village can apply for other funding. But that will take time. And Newtok had hoped to use this money to build in 2018. The Newtok Village Council said the bigger problem is that state and federal emergency management agencies are making it almost impossible to access funding. This is the third time in the last two years that Newtok thought funding was on its way, only to be disappointed. Last year, the Obama administration denied Newtok’s request for a federal disaster declaration, along with one from the village of Kivalina. FEMA said coastal erosion, flooding and thawing permafrost do not meet the requirements of federal disaster law. The Department of Housing and Urban Development also rejected Newtok’s application for funding through the National Disaster Resilience Competition. That application was prepared in part by O’Hare’s division. Newtok relocation coordinator Romy Cadiente said agencies keep moving the goalposts. Newtok residents worry one or more homes may be lost this winter. Village Council president Paul Charles and vice president George Carl both live in houses near the edge of the river. Carl said Newtok needs help now. 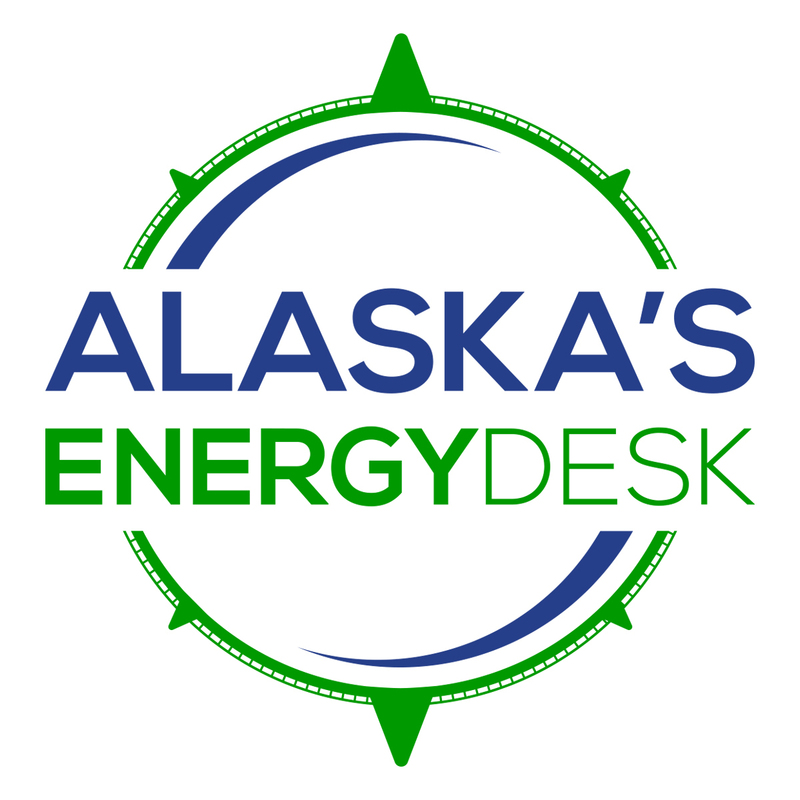 After Alaska’s Energy Desk called the state with questions this week, the governor’s office intervened. The Newtok Village Council was called to a meeting Thursday morning with the governor’s chief of staff, Scott Kendall, and Major General Laurie Hummell, who oversees the Division of Homeland Security. Walleri said both committed to making Newtok’s relocation a priority. They proposed committing Alaska National Guard units to assist with an effort to move temporary barracks from Joint Base Elmendorf-Richardson to the new village site. The proposal would be one way to provide housing at the new site. The governor’s office also agreed to look at options for other funding. Newtok is introducing several resolutions at the Alaska Federation of Natives convention this week to address issues related to relocation. One resolution asks for changes in federal disaster law to include problems like coastal erosion and thawing permafrost. Another asks President Trump to redirect funds originally committed under the Paris climate agreement to help developing nations adapt to climate change, and instead send that money to Alaska Native and Native American communities. Correction: An earlier version of this story stated the engineering firm DOWL prepared Newtok’s application to the Hazard Mitigation Grant Program. In fact, the firm CRW Engineering prepared the original application. DOWL worked with Newtok to submit final revisions this year. Update, Nov. 2: This article has also been updated to include a clarification from the Division of Homeland Security on Director O’Hare’s apology.